Motorsport. Lived. A statement for powerful impressions. Made for success: The BMW Motorsport Collection excites all generations of motorsport aficionados. Sporty designs, classic cuts and premium materials ensure that you will always make a strong impression - both on the track and off. 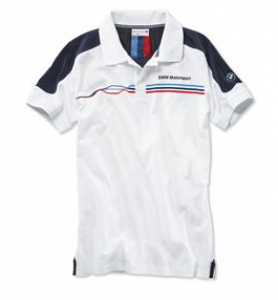 Shop the full line of the Genuine BMW Motorsport Lifestyle Collection Here!